I recently went on a camping trip in the high desert and had lots of fun cooking with fire. I took along a bunch of veggies to cook the first night. I had the awesome idea of putting eggplant in the fire along with the potatoes. It turned out almost like baba ganoush. I wish I would've remembered to bring a lemon. 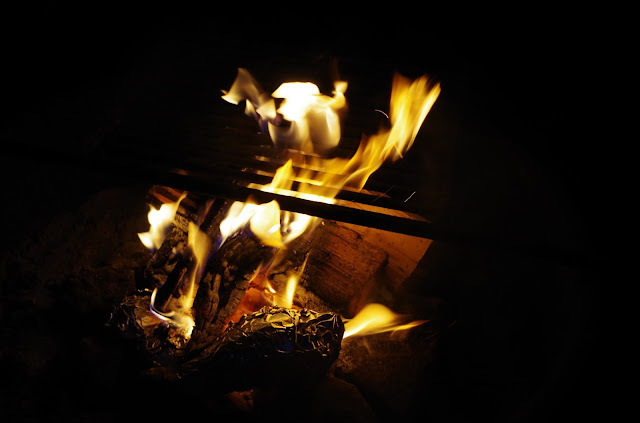 You can see my foil-wrapped eggplant nestled in the coals in the photo above. I waited until the coals were hot and stuck the foil wrapped veggies into the sides of the fire. The eggplant was really easy to tell when it was done - it turned squishy. 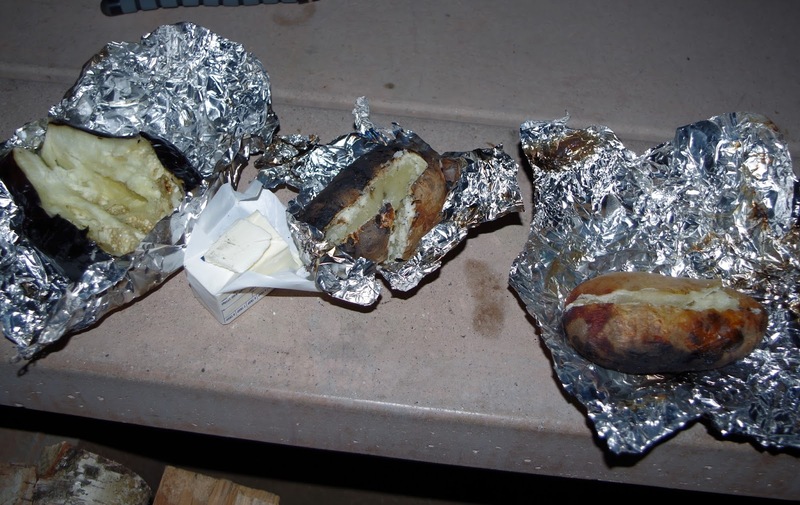 The potatoes were done after about 45 minutes because the coals are hot enough. The skins got a bit burned, but they were perfect inside. I added butter, salt, and pepper and they tasted so good, as only camping food can. 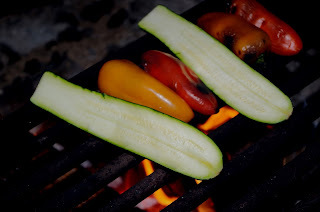 I also threw some zucchini and some peppers on the grate. They were super tasty and smokey. Sorry about the photos' poor quality - it was pretty cold, so I took them super fast.